We love travelling as a family and on a recent trip, my girls got a lucky opportunity to see some gorgeous peacocks up close. Having been accustomed to the modest and chirpy sparrows in our neighborhood, the sight of these magnificent creatures during our resort stay was nothing short of spectacular! Both girls spent a great part of their holiday running after the majestic birds and trying to feed them. Thoughts of the graceful bird lasted not just during our vacation, but long after we were home! They kept thinking and talking about peacocks, so this was the perfect opportunity to do some activities and crafts related to them! And of course, the crafts have to be stunning enough to do justice to India’s national bird ! Paper plates are one of the most commonly available craft supplies and they’ve been put to good use at I Heart Crafty Things with a cute paper plate peacock! This activity is a big hit as lot of pasting, colouring involved – perfect to develop fine motor skills for the little ones. This peacock craft from I Heart Arts n Crafts is also made from paper plates, but it’s got some fingerprinting to appeal to the younger crowd. Preschoolers and kindergartners in particular will love to make this cute little 3D peacock! This sparkly pipe cleaner peacock craft from Artsy Craftsy Mom truly captures all the gorgeousness of India’s national bird. The craft is easier than it looks, and a little effort with glitter paper and pipe cleaners will give you an impressive result. Got a shell too many from your last vacation to the beach? Well, this cute little peacock craft from Crafty Morning using a sea shell and play dough will be a hit with the little ones. The next time you take your kiddos to the beach, make sure to look for shells so they can create their own birds when they get home. Whether you make them as a simple afternoon craft to pass the time or intend to use them as puppets – these beautiful handprint peacocks from Glued to my Crafts are super easy, really inexpensive and of course – fun for ALL ages! Peacock crowns are very popular around Janmashtami, and these adorable crowns from Artsy Craftsy Mom are perfect! 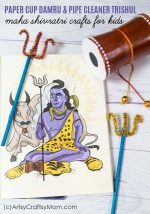 They’re made with simple accessories and are the perfect addition to a dress up party, for Krishna Janmashtami, a birthday party or for any kind of Krishna themed pretend play. A simple way to recycle all the paper bags from your shopping trips, this peacock puppet from Pacon is very simple but lots of fun! Print out the patterns in the right sizes and you’re almost done! Who know coffee filters could result in some pretty peacocks? This craft from Artsy Craftsy Mom is another easy, eye catching and economical craft to do with your child, whatever his age. Letter Crafts are a great way to introduce letters and have fun while at it! This craft from No Time for Flashcards introduces the letter P with a fun and easy peacock craft that even toddlers can do. There’s a reason handprint crafts are so popular among the toddlers and preschoolers – they’re very easy with just the right amount of mess! If your kids are like mine and like to go full ‘ hands on’ with their craft, then this Hand-print craft from Sweet and Lovely Crafts will be just right! The humble toilet roll transforms itself into a pretty Peacock in this craft from the Itsy Bitsy Fun Blog. This craft is deceptively easy and just requires some painting, cutting and gluing – and you’re done! This easy yet ‘fan’tastic peacock craft is the perfect accompaniment to the absolutely fun book, ‘ Three Hens and a Peacock’! With this craft from Brimful Curiosities, kids can manually fold and unfold the peacock’s shimmery train feathers – a craft that they can actually play with! If you have any scratched or old CDs lying around, this is the perfect opportunity to get crafting with them instead of throwing them away! Go green by recycling used CDs into a bright and colorful Peacock Craft for kids, as shown in I Heart Crafty Things. Diwali may be over, but you can never have enough candles or diyas around the house! Diyas are the symbol of light & life and look beautiful when lit, so this video tutorial from RC Craft can add that zing to your décor. 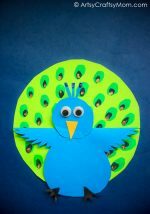 Sometimes, the simplest ideas are the best, and this paper peacock craft from Highlights Kids proves it! 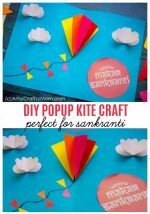 All you need for this simple craft are basic supplies and colorful strips of construction paper. You can also give it a shot with colored quilling strips as well. This charming origami peacock from Origami Spirit shows us an example of the imaginative possibilities of a traditional origami model. This peacock model shown here is based on the classic paper toy called ‘cootie catcher’ aka ‘flip flapper’. The post also includes a video tutorial. These fun and colorful peacocks from Divine Lifestyle are a great way to serve up a treat to little ones- popcorn, candy, nuts, pretzel sticks, cereal, Cheeslings or any thing small. 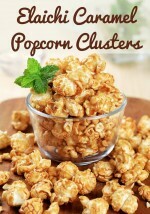 They are a great way to squeeze a little more use out of the empty cups that would otherwise be tossed in the trash. This colorful kid craft from I Heart Crafty Things is perfect for a summer afternoon or after visiting the zoo. The puppet aspect of it also creates some fun imaginative play for kids. This Peacock Wall Hanging from Easy Fresh Ideas is an absolutely stunning use of recycled elements like disposable spoons, old CDs, cardstock and QTips. A step by step tutorial shows how easy it is to assemble this peacock wall hanging. Morena’s Corner features a whimsical and unusual yet easy peacock craft activity with – you won’t guess it – upcycled kitchen whisks! This might require some adult supervision, and is better handled by the older kids. While you’re crafting, you might also like to share some fun trivia about peacocks. The peacock is the subject of much folklore, superstition, and old wives’ tales. The peacock is also a prominent feature in popular culture. In Hindu culture, Lord Karthikeya, the god of war, is said to ride a peacock. In Ancient Egypt, the Peacock is associated with the Sun God Ra. In Christianity, the Peacock symbolizes death and resurrection. Mayilattam (Peacock dance ) is a very famous folk dance in Tamil Nadu . The peacock was a symbol of immortality because the ancients believed that the peacock had flesh that did not decay after death. There is also a popular Turkish folk lore about the fox that fell in a dye pit and fancied himself as beautiful as a peacock until his fellow animals deflated his pretensions by asking him to fly. 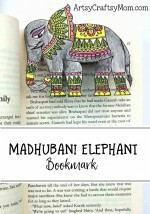 With India’s Republic Day coming up in a couple of weeks, this is the perfect time to do some crafts based on India’s national bird, the majestic peacock. Pick a few from this according to the age of your child and enjoy some fun family time together! Wow what a stunning collection of peacock crafts!..loved them. I have a few peacock craft too..do visit and link if possible. .
Got good ideas to create peacock. Please share more and more craft ideas. Looking for camel craft. How can I obtain the peacock video with the spoons, CD and qtips? Not all ideas have a video tutorial. But if you click the title, it will take you to the step by step tutorials.